On March 16, a surprise gathering was organized for Violet Diplock of Nobleton in honour of her upcoming 90th birthday on April 8. More than 100 family and friends attended the afternoon event at the King City United Church, passing along their love and well wishes for Violet. 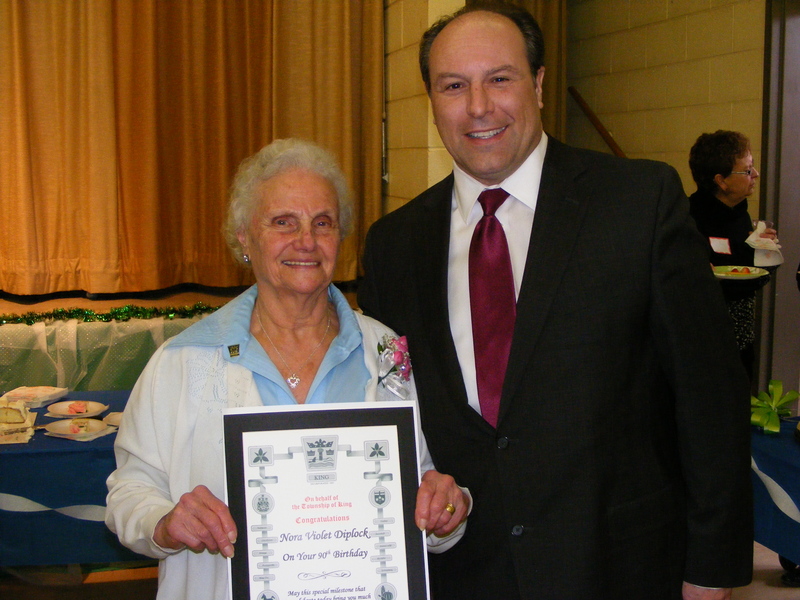 In recognition of achieving 90 years, Mayor Steve Pellegrini presented Violet with an honourary certificate acknowledging her special day. The Diplock family would like to thank all that attended and sent their wishes to make Violet’s day a very special and memorable one.